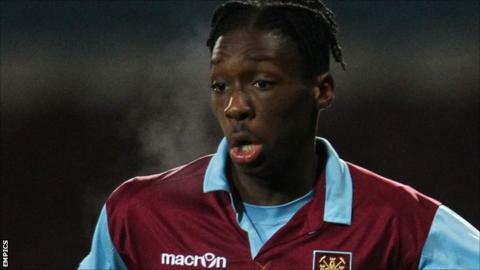 Bradford City have signed England Under-19 international Blair Turgott on loan from West Ham United until Saturday, 5 January. Turgott, an 18-year-old midfielder, has made 10 development squad appearances this season, scoring twice, but is yet to make his first-team bow. The Hammers academy product became a full-time scholar in 2010. "Looking forward to my time in Bradford," Turgott posted on social messaging site Twitter. He could make his Bantams debut against Bristol Rovers on Saturday.